Welcome to today’s review: The GROWant G5-HiPAR 400W LED Grow Light. A slim, cool, efficient, high-PAR, full spectrum LED grow light featuring LEDs from renowned German lighting specialist OSRAM. Perfect for the indoor marijuana grower. 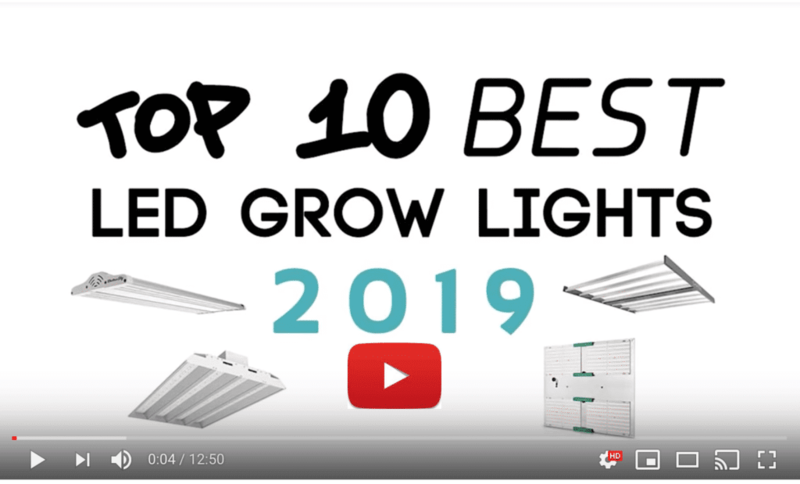 If you already know all about grow lights in general, how they’re used in growing cannabis indoors and the advantages of LED over other types of grow light, feel free to skip down to the review proper. 1 Why do you need a grow light? 2 What are the advantages of using LED grow lights? Why do you need a grow light? 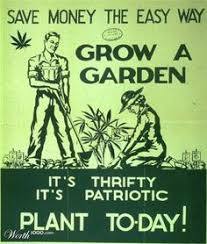 The health of your cannabis plants depends on how much they are nurtured as they grow. As indoor growing becomes more popular, choosing the right equipment is essential to the well-being of your plants. One of the key pieces of equipment you’ll need in this process is grow lights. Plants grown indoors are not exposed to the sun, so they rely on grow lights to properly photosynthesize, utilize light to feed themselves and produce energy. Grow lights mimic the spectrum of light provided by the sun. One of the most efficient and popular types of lights available to simulate this process is LED grow lights. What are the advantages of using LED grow lights? LED grow lights have become more popular over the past few years because of the power and efficiency that they provide. One of the advantages of LEDs is that they deliver specific wavelengths of light that can be adjusted depending on the plant’s stage of growth. These wavelengths are responsible for the magenta colored light that is produced. Many LEDs have special lenses designed to produce light that is easier for the plant to absorb, thus increasing the amount of its yield. Another advantage of LED lights is that they use much less energy than traditional grow lights. The initial price of LEDs is higher than the alternatives, but the cost of running these lights comes out to be cheaper. Well, many other grow lights convert the energy that they use into heat instead of light. This is a problem fixed by LEDs—LEDs are known to run cool—which creates a much better environment for you marijuana. 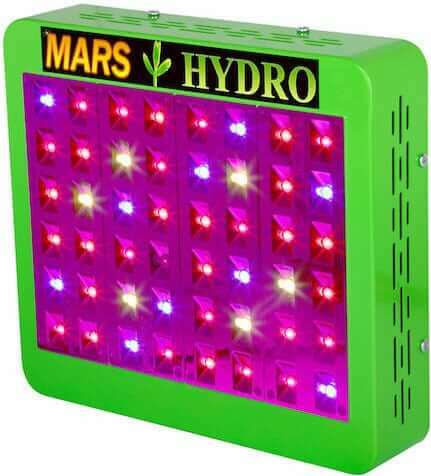 Moreover, LED lights have a much longer lifespan when compared to other grow lamps as well. With an average lifespan of between 50,000-100,000 hours of use, purchasing an LED grow light will last you for many harvests. These powerful and innovative lights are perfect for the indoor grower who isn’t afraid to make a slight initial investment to be rewarded later with healthy and vigorous cannabis. A grower who doesn’t want to have to deal with a bulky exhaust or cooling system will also benefit from using LED lights. OSRAM Horticulture is a reputable lighting company that has been providing customers with excellent products for over 100 years—and this light is no exception. The GROWant Aluminum 400Watt OSRAM LED Full Spectrum Grow Light will please any indoor grower. The GROWant 400W produces optimized blue and red lights that are absorbed by the cannabis plants, allowing them to grow large, resin coated flowers and buds. Moreover, the light produced by this grow lamp is evenly distributed, resulting in no blind spots and more healthy plants. In fact, it has one of the highest PAR/PFFD per watt outputs available. It covers a main area of 3’x3’, with a maximum of 4’x4’, at a height of 24’’. This is 80% more than most brands available. Better still, the GROWant 400W only consumes 140 watts while replacing other more power-hungry 400W lights, such as less efficient High Pressure Sodium or Metal Halide lights. It has an input of 86-265V alternating current and a frequency of 50/60 hertz. The weight of this fan is only 4.4 pounds, making bulky lights a thing of the past. But even with a sleek, thin, small, and lightweight design this grow light still delivers intense power—without producing excess heat. The high quality aluminium housing resists rust and transfers heat quickly. In fact, the entirety of the aluminium body is a heat sink. This allows the heat to be dispersed quickly without any resistance or complications. The power supply is stored externally, too. This allows any heat that is produced from the power supply to be distributed directly out of your grow tent, if that is your growing method. Heat damage of LEDs may occur due to a faulty fan or improper ventilation. To prevent this, the GROWant 400Watt features a heat protection function that will power off automatically. A 4 year U.S. warranty and a 30 day return policy will put you at ease when choosing to give this powerful and efficient piece of equipment a try. Providing your cannabis with all of their lighting needs to grow strong, this will not be a purchase that you regret. This small but powerful grow light is a great choice for indoor growers, but if you have a short grow area you might want to consider another type of grow light. LEDs need to be kept a little further away from plants, compared to other lights such as CFLs that can be kept inches away. However, LEDs are still a great choice for growers who do not want to deal with the heat that other lights produce. They are also ideal for lowering your electric bill. If you are interested in giving LEDs a try, we think this model from GROWant is well worth a look. 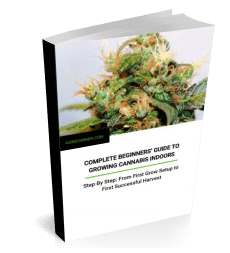 It’s a great, high quality affordable choice that will provide your cannabis crop with the ideal light conditions for indoor growing—efficiently, safely and without excess heat. And all backed up by a 4 year warranty and OSRAM’s 100-year pedigree in the lighting game. I bought 2 units of GROWant G5Pro G400, they link up with inbuilt wireless controller, one as master and another as slaver, I need only control one unit, the other unit just follow, amazing technology, besides, I love their sunrise sunset function which save a lot power for me but very good for plants. my tent is in flowering right now. I love OSRAM LED which GROWant uses, really very efficiency, I used vipar and mars before, compares my GROWant only 65% power but plants love it so much. Thanks for that info. We love reader response. Would you like to be interviewed for our new series of grower interviews? This unit has no way to program unless you have the Pro model. Does anyone know how to program the regular 400 G5? The Growant site at http://www.growant.com/index.php has a sales contact form and they have responded to me in the past pretty quickly. That aside though, I don’t think there is any way to program the regular light based on a comment that the Pro series light cannot act as a master for the regular lights in series. Thanks Mary for this answer. GROWant Smart LED Grow Light : https://www.growant.com/goods.php?id=25, can be wireless daisy chain with other Smart Grow Lights, maximum 16 Lights controlled in one group. For regular type, https://www.growant.com/goods.php?id=29, it offers phisical swith for ON/Off, can not be wireless connected to smart type. Regular type GROWant G400 or G800 can be controlled by extra timmer only. if you need programmable, have to select smart type. You can not and when the Cirus T5 was on sale two months ago it was 1300, draws 500w outputs equivalent of a 1100w dbln ended gavita. Its wifi and app control IR thru UV, sun rise or set, and nonannoying touch sensitive buttons to press , the OSRAM 8w on the 800 pro model are nice, but any lower than 24 and ur looking at led burn, the Cirus are at 18 and full chatt!